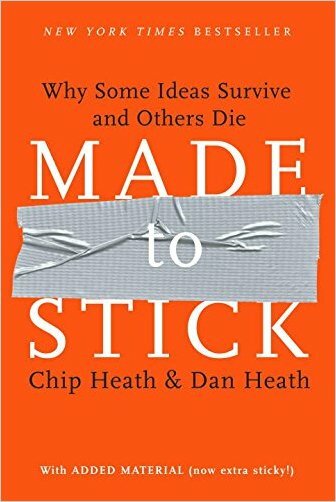 "Why Some Ideas Survive and Others Die"
The book provides an easy-to-follow recipe for developing ideas that really stick; meaning ideas that are lasting, transformative and convey an important message. The authors illustrate their method with vivid examples that help get the point across. Point in case, the book itself is a great example of the method applied. Even years later I occasionally reflect on the contents of this book. More books in the bookshelf.